PRESENTER for JANUARY 2016 is Michelle Cloud-Hughes. 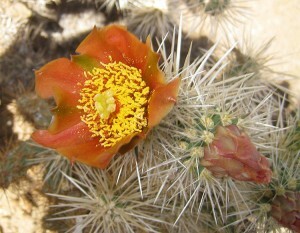 Her presentation is titled “Hiding in plain sight: a new cactus species from the California Desert.” Cylindropuntia chuckwallensis is a newly-described cactus found in San Bernardino, Riverside, and northern Imperial Counties, California. 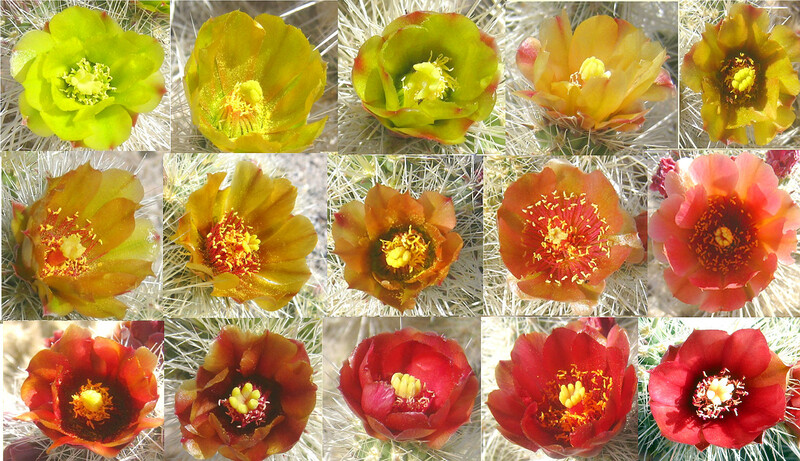 Michelle’s presentation will describe how this historically-misidentified cholla was determined to be a distinct new species and the characteristics that distinguish it from similar cholla species. 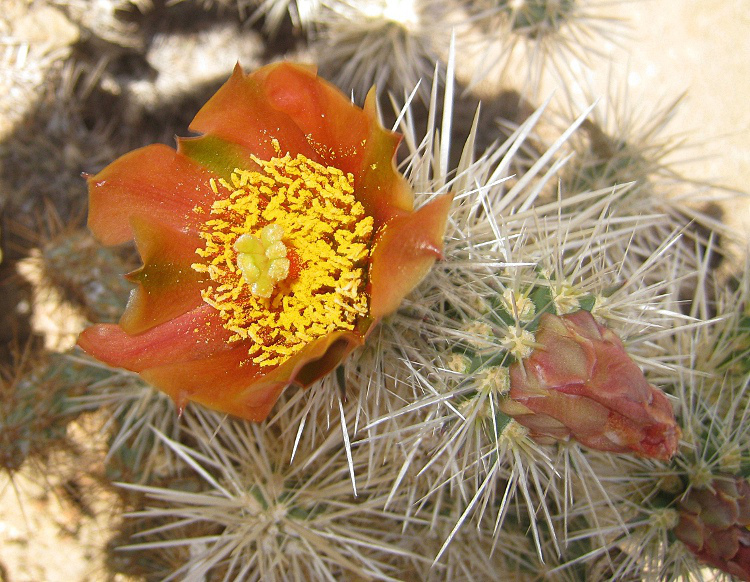 This presentation will provide detailed information on where to see “the chucky cholla” as well as many other intriguing succulents found in the same areas. Michelle was one of the most vibrant speakers at the 2015 CSSA Convention. Don’t miss out on her fantastic energy and learning about this newly discovered species. 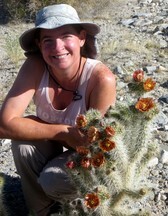 Michelle Cloud-Hughes is a botanist and restoration ecologist specializing in desert flora and ecosystems. She worked for the Soil Ecology and Restoration Group at San Diego State University from 1997 to 2013 and spent most of those years doing restoration work in the central Mojave Desert at Fort Irwin National Training Center. In 2010 she started her company, Desert Solitaire Botany and Ecological Restoration, and since then has been involved in many rare plant surveys and other botanical and restoration projects throughout the southwestern U.S. 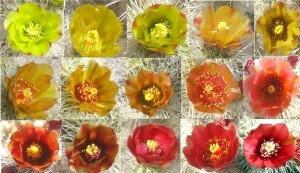 Her main love is Cylindropuntia, but she is also fascinated by other cactus, particularly Echinocereus, Grusonia, Pediocactus, and occasionally even Opuntia.